Check out Tobi's Cecilia Chunky Knit Sweater Snuggle up in the Cecilia White Chunky Knit Sweater this season. This cable knit slouchy sweater features a mock neckline, oversized bubble sleeves, and gorgeous knitting throughout. You're gonna love how the hot pink sweater makes any outfit instantly pop. Pair with a faux leather skirt and booties for a chic fall look. Snuggle up in the Cecilia White Chunky Knit Sweater this season. This cable knit slouchy sweater features a mock neckline, oversized bubble sleeves, and gorgeous knitting throughout. You're gonna love how the hot pink sweater makes any outfit instantly pop. Pair with a faux leather skirt and booties for a chic fall look. Snuggle up in the Cecilia Sienna Chunky Knit Sweater this season. This cable knit slouchy sweater features a mock neckline, oversized bubble sleeves, and gorgeous knitting throughout. 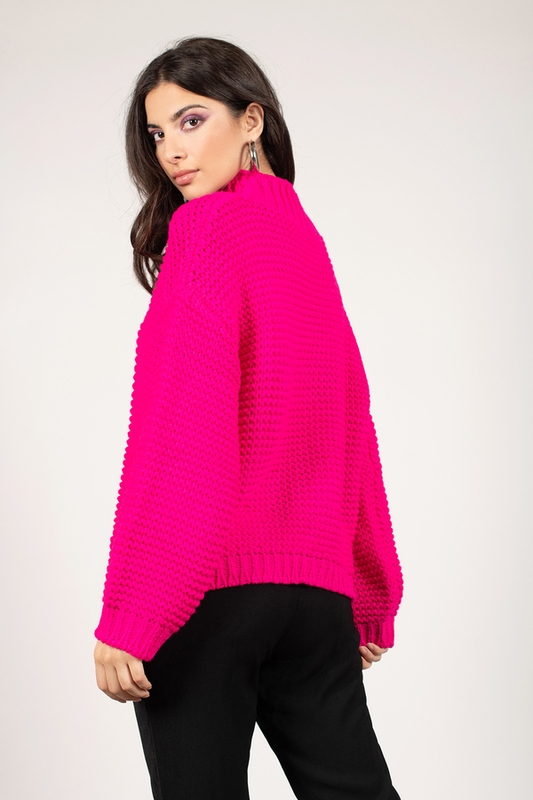 You're gonna love how the hot pink sweater makes any outfit instantly pop. Pair with a faux leather skirt and booties for a chic fall look. 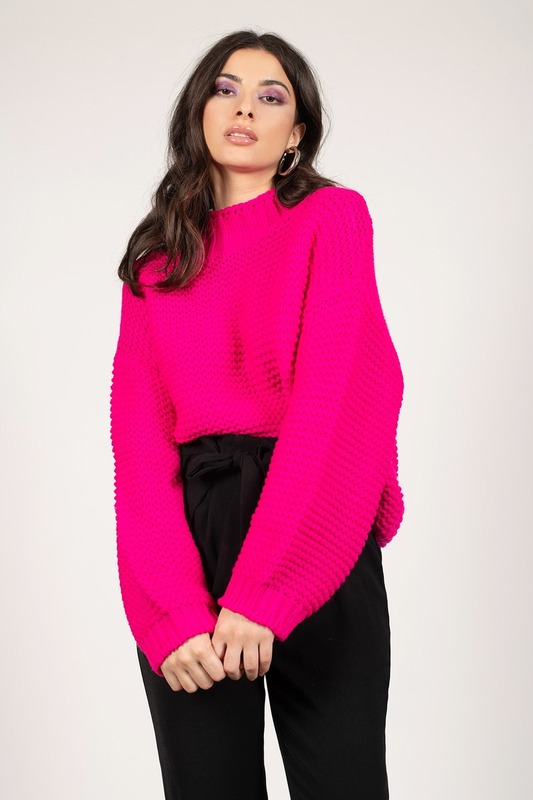 Snuggle up in the Cecilia Hot Pink Chunky Knit Sweater this season. This cable knit slouchy sweater features a mock neckline, oversized bubble sleeves, and gorgeous knitting throughout. You're gonna love how the hot pink sweater makes any outfit instantly pop. Pair with a faux leather skirt and booties for a chic fall look.